Some people have the best initials. Take Wallis Windsor, for example. Double W's look fantastic when engraved on flatware or embroidered on linen. Heck, just one W looks terrific. M is good, as is T. I think I'm taken with these letters because they're symmetrical. You can flip them on their vertical axis, and they still look the same. J is asymmetrical, something which I admit drives me a tad crazy. Same with a B. But if you have one initial that is symmetrical, like an H, then you can use that letter as the starting point for an interesting monogram. That one symmetrical letter can be the foundation upon which you build your cypher. 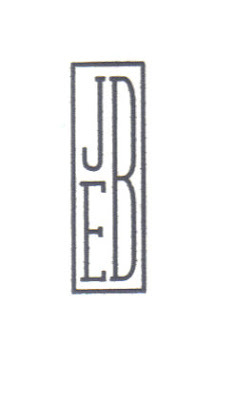 On my stationery, seen above, I tried to achieve balance with one long B to the right and a smaller J and E to the left. And if you throw a box around anything, it's like instant symmetry. See what I mean? Old Wallis had great initials. Those interlocking W's were perfect for this appliqued bed linen. Edward's E was pretty nifty too. Of course, being able to add a crown to your monogram always helps. 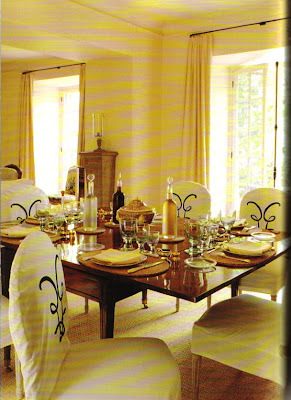 Givenchy has monogrammed cotton slipcovers in his dining room at Clos Fiorentina. 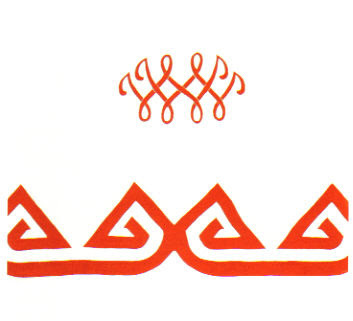 If you didn't know that this was Givenchy's monogram, it might be a little tough to decipher the letters. Still, it's rather striking, don't you think? Also at Clos Fiorentina- the "Walter" guest bedroom named after friend Walter Lees. See, there's that W again. Looks fabulous. 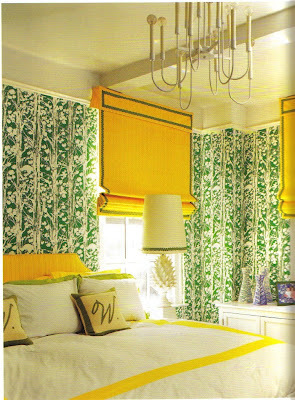 And yet again, W rears it's pretty little head in this room decorated by Jonathan Adler. 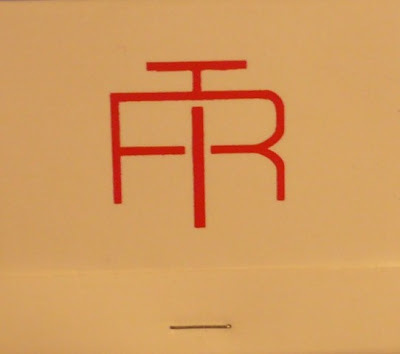 Todd Romano's monogram is quite clever (seen here on a matchbook). The T bisects a wide R, resulting in a cypher that is tight and symmetrical. 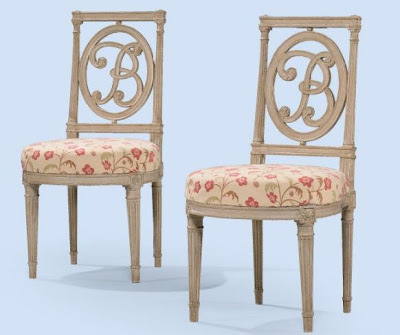 But, after seeing these chairs that were auctioned off by Christies last week, I take back everything I said about B's. 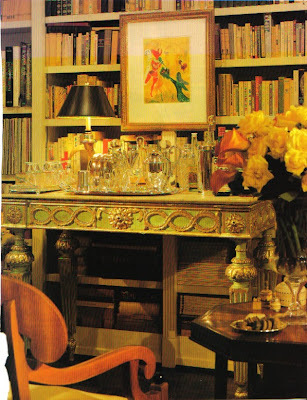 According to An Aesthete's Lament, these beauties belonged to Bunny Mellon. And just who is that elegant woman, above? 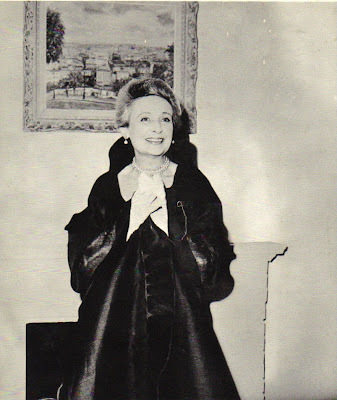 She is Genevieve Antoine Dariaux, former directrice of Nina Ricci. Let me first say that Dariaux is the type of woman that many of us would like to emulate when we become women of a certain age. Her hair was impeccable, the maquillage tasteful, the jewelry quite chic, and that dress...sublime. Of course I'm sure it helped to have that Nina Ricci connection. So who better to write about elegance than Dariaux? In fact, her first book- titled what else, Elegance - was a primer on how to dress appropriately for every occasion. But it's her 1965 follow-up book,Entertaining With Elegance , that I'm taken with. 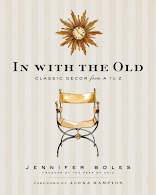 In it, Dariaux advises the reader on how to entertain with grace and refinement, something which the author seemed to do with aplomb. Her tips are organized alphabetically, so if you need help with ashtrays, punch, place cards, and kissing (not the romantic type, mind you, but rather the purely social variety), you'll know exactly where to look. So far, I've made it through the D's, so I thought I'd post some of Dariaux's nuggets of wisdom. Unfortunately there are no photos in the book, so I'm improvising with some that I've found in other books. And keep in mind that the book was written 45 years ago- you'll especially need to remember this when you read about preparing dinner for your husband! 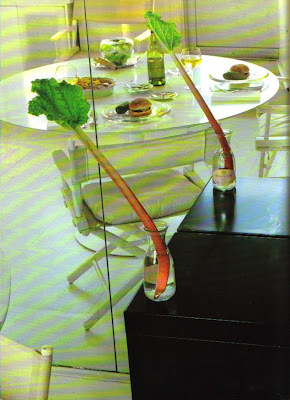 MAC II included chic sterling cigarette holders and ashtrays on this table. In the living room they should be big but shallow, stable, plentiful, and emptied when they are full. Standing ashtrays are not at all chic. 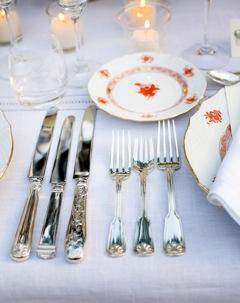 On the dining table, they should be small, pretty (preferably of crystal or silver) and there should be one for every place setting. Let's see, Andy Warhol designed this birthday table for a child who was 1,2,3...6 years old. For myself: the exact number of years. For my husband: the same as for myself. For adults in general: twenty-one candles, if you wish to be very tactful. For a pretty woman: the most flattering number I can think of. For somebody over eighty: it all depends. Beyond a certain age, coquetry consists of proudly claiming the maximum years of age- so that it is all the more marvelous, I suppose, to appear so young! Very few folding chairs are equally suitable for indoor and outdoor use, and if you do a great deal of patio entertaining, it would be advisable also to invest in a set of folding canvas desk chairs, Hollywood-director style, which take up very little storage room. A clever friend of mine has adapted this folding X-model for indoor use in her English-style interior by staining the wooden frames a dark mahogany shade and covering the seat and back with black leatherette, affixed by rows of gilt-headed upholsterer's nails. 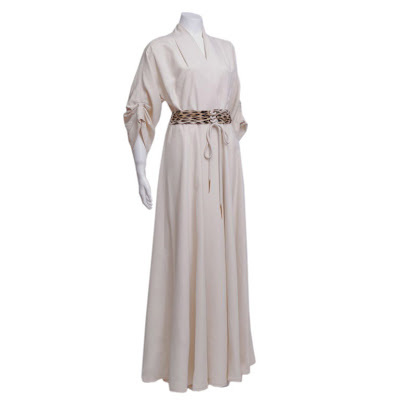 If you really want to be naughty, you could tell your guests that the evening's dress code is casual...and you can wear this vintage hostess gown. You'd look great, but your guests would really be steamed. 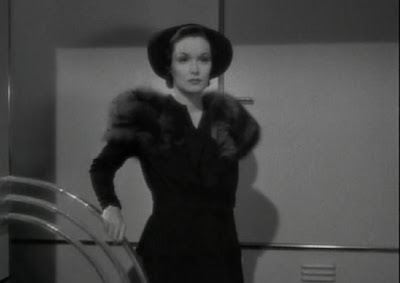 A hostess should never try to be more elegantly and expensively attired than her guests. Whenever you entertain, you should inform your guests very precisely as to the kind of dress you yourself intend to wear. I know of nothing more irritating than the hostess who says, "Wear whatever you feel like--" which always makes me want to reply, "All right, I'll come in my nightgown!" The moral of the story is...do as Mrs. Arthur Hornblow, Jr. and set up an elegant TV Dinner for Two and your husband will think you're the best wife ever. 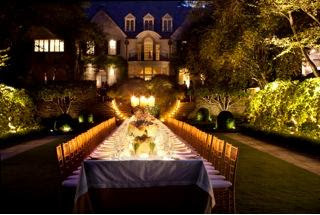 Why shouldn't a woman feel as if she were giving a dinner party for her husband every evening? ...It seems to me very worthwhile going to a bit of trouble in order to give your husband the impression that every time he comes home in the evening, he is going to a party. When your little stage setting is ready, you should give a thought to your own appearance and arrange to greet your dinner guest (even though he is in this case your own husband) smiling and fresh, with your hair neatly arranged, wearing a pretty fresh house dress. A drinks table done right. At cocktail time: Whisky (Scotch and bourbon), vodka, fruit juice and one of the fortified aperitif wines such as Dubonnet and dry sherry, or a sparkling wine such as champagne. In the evening: Whisky, fruit juice or soft drinks, and a drink such as gin and tonic in which the spirits are very much diluted in a non-alcoholic mixer, or a sparkling wine. Who knew that it would be so easy to fall in love with a medicine cabinet? Truly, I think this is the most stylish one I've ever seen, but I guess that's no surprise as it's in the bathroom of Thomas O'Brien. It's like the hit parade of everything I love- nickel frame, lights on the side, and in the words of O'Brien, it's reminiscent of "a vitrine from a 1930s store". Well, you know that the 1930s reference just sealed the deal for me. And then take a look inside the cabinet. It's like a mini-Zitomer or something. 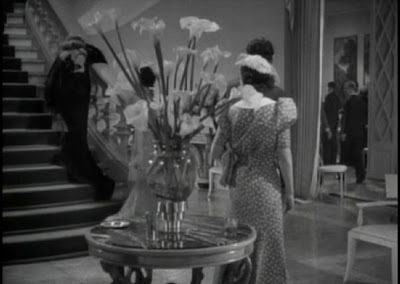 O'Brien collects fragrances, so there are numerous fragrance flaçons and bottles. I believe I spy some Acqua di Parma as well as Kiehls. It's really making me rethink my 1960s medicine cabinets which are accessorized with Crest, Sure, and Bausch & Lomb-not so peak of chic. I think that I might need to upgrade my sundries. 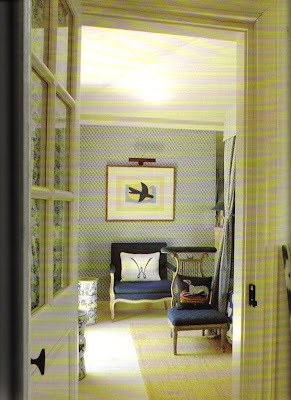 For a little more in the way of swell bathrooms, I'm including images from O'Brien's soon to be released American Modern . Sure these rooms might look modern, but I'd also add that they're timeless too. 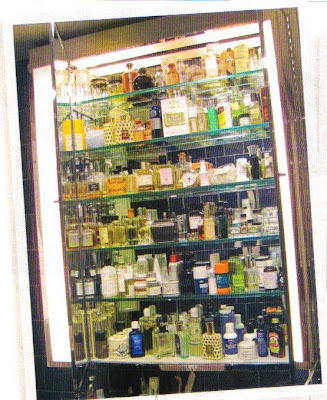 Yet another enviable medicine cabinet. I like how clean the bathroom looks, and I'm not just talking about the decor. Light and white always looks germ free to me. 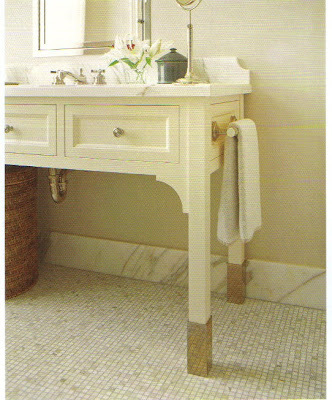 The sink and bath hardware are part of O'Brien's Aero collection for Waterworks. 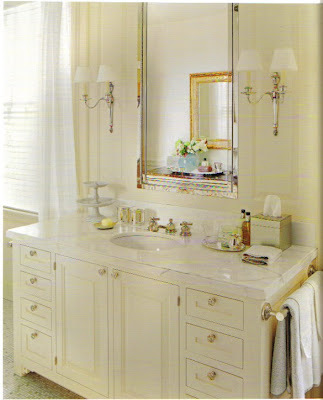 In the same house, the man's bath features a washstand with tall nickel feet- such a clever detail. 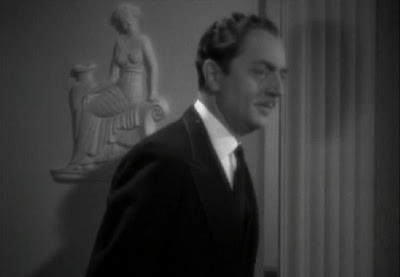 Another shot of O'Brien's bathroom. OK, so maybe I now want a blue bathroom rather than white. 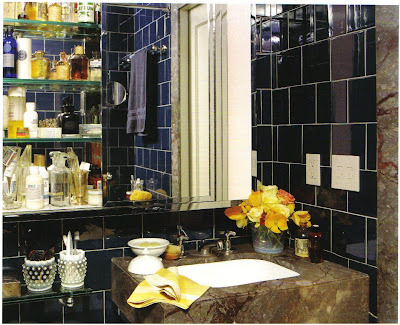 The walls are dark blue ceramic tile, and the sink is the same type of marble used in the Empire State Building: Breccia Antica. If any of you are planning to be at the AmericasMart this Saturday, I invite you to attend Home Truths, a panel discussion led by Atlanta Homes & Lifestyles Editorial Director Clinton Smith. I'll be on the panel along with designer Phoebe Howard and architect Stan Dixon. 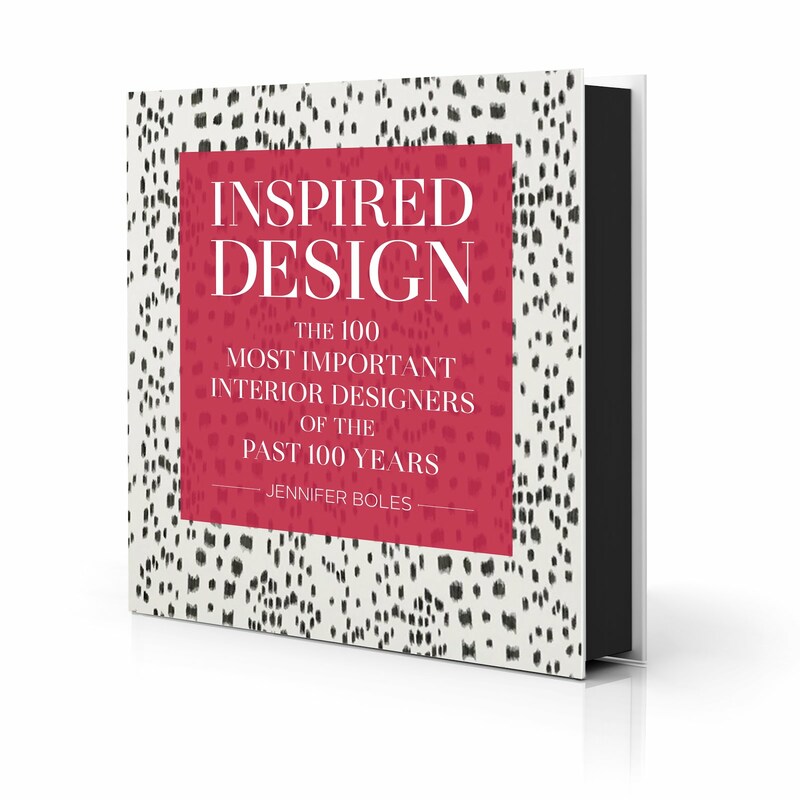 We'll discuss decorating trends as well as the changing face of design. The event begins at 10am and will be held in Building 1, Floor 14, 14-D-9. Hope to see some of you there! Who me? A flair for the dramatic? Well, perhaps a little. I tried acting in Junior High. While I wasn't bad, I also wasn't going to win any awards either. So, I guess that I decided to pursue drama in other areas of my life, and what I found is that drama in interiors has fewer consequences and produces fewer headaches than drama in other areas of one's life. We're talking guilt-free drama. Don't you agree? 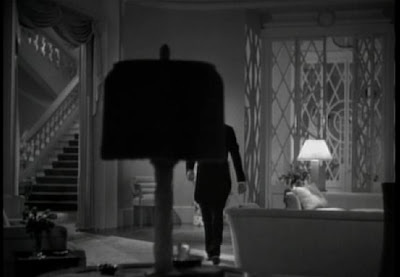 Perhaps this explains my fascination with set decoration, especially that from the 1930s. 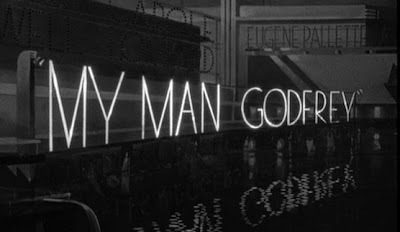 One of my favorite sets is that of My Man Godfrey, a 1936 screwball comedy starring William Powell and Carole Lombard. We all know that on movie sets, everything has to be bigger and larger than life in order to register on film. 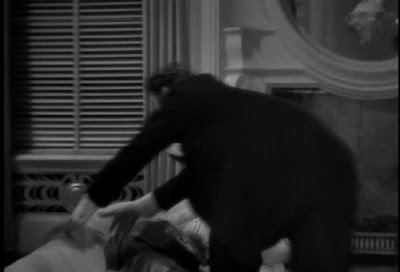 There's drama in scale, color, and in the case of films from the 1930s and 40s, in quirky decorative details too. I think it's this pastiche that captivates me. I mean, on the one hand, it's a little tacky, but it's also charming in an exuberant and hopeful kind of way. 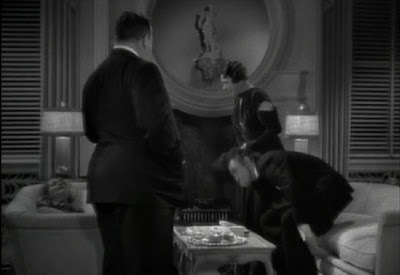 If I had the space, I would seriously consider decorating a few rooms in the spirit of my favorite 1930s movies. Sure people might think I had lost control of my mental faculties, but it would be fun. And more importantly, it would be a most proper venue in which to wear my satin bed jackets, something which recently amused a friend who was touring my house. 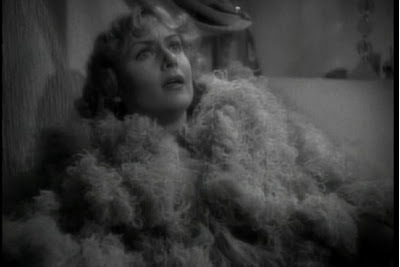 Who knows, I might even graduate to marabou bed jackets soon à la Carole Lombard. Because you know, I just can't give up the drama. Do you think this would be ridiculous to wear for lounging and sleeping? 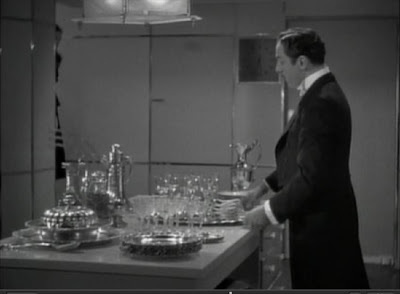 My favorite era of kitchen design is the 1930s. How many kitchens have you seen with such glitz? I'm taken with that chrome trim on the walls. 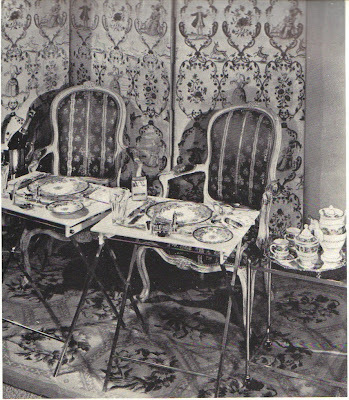 A kitchen like this would not be complete with a charming butler, plenty of silver serving pieces, and a battalion of cocktail glasses. Here is a better shot of that modernist handrail that was in the kitchen. 1930s sets were filled with decorative oddities like painted motifs that were stuck everywhere...on doors, screens, walls. Plaster reliefs were also popular- like this one that adorned a door. I think this beats your average paneled door any day. Something else that fascinates me are 1930s bathrooms. 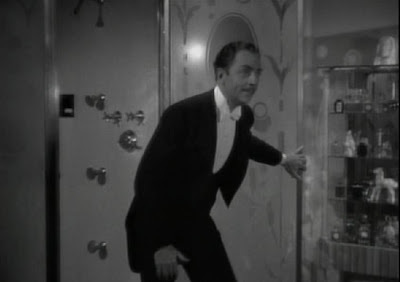 Note the frosted glass shower door; it looks like it has an underwater theme to it. I think I see fish. Fireplaces were always ripe for high drama. This baroque fantasy had that large circular mirror complete with that plaster figure on a bracket. It's so....theatrical. A white klismos chair in the spirit of T.H. Robsjohn-Gibbings. Calla lilies were huge during this decade; this arrangement has me rethinking them. 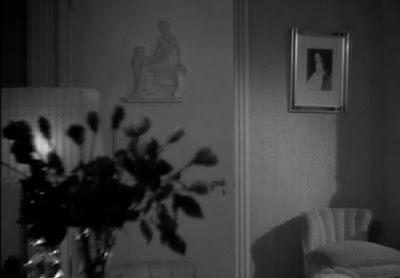 It might be a little difficult to see, but take a look at that register (or is it a radiator cover?) underneath the window. I think that something like this needs to be put back into production, although I know that the pat answer would be that it costs too much. This diamond and circular trellis is quintessential Hollywood. It almost looks like a bird cage. I write often about entertaining at home as I'm afraid more and more people are either forgetting to do it or are becoming indifferent to it. I've blogged about hosting small dinner parties on a school night, having people over for drinks, and entertaining guests at large cocktail parties. But what I haven't written so much about is hosting a charity event at one's home. It happens more often than you think. Say you're involved with an organization that appeals to you to host a dinner for said charity. What to do? Danielle Rollins of Atlanta held just such an event at her home last fall. Danielle and her husband are actively involved in Children's Healthcare of Atlanta, so along with Neiman Marcus they decided to host a dinner in which CHOA was the beneficiary. 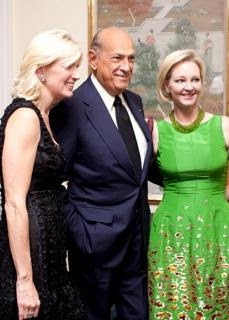 And to make it even more special, Oscar de la Renta was a guest. Now let's stop here- imagine having Oscar to your home. Can you imagine? Would you panic? Freak out? If you answered "yes" and "yes", then you're not alone. Fortunately, Danielle is an accomplished hostess so she knew just what to do. Knowing that Oscar was often the guest at glamorous events, Danielle wanted to keep it low-key and very "Georgia". Gardening is important to both Danielle and Oscar, so Danielle set up a long table for 60 people in the lower garden behind her lovely home. 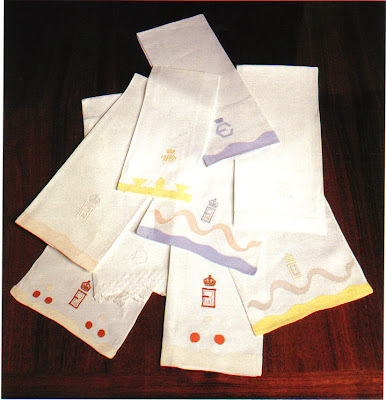 Ivory linen hemstitch tablecloths were sewn together to create one long cloth, and under this were custom made burlap cloths. Atlanta floral designer Michal Evans was responsible for the all white dahlia arrangements- so simple and yet so chic, while celebrated chef Anne Quatrano created a farm to table menu using only local ingredients for the event. So on to the table. Neiman Marcus loaned Danielle the fall toned Herend plates, while she mixed her own sterling flatware with that of friends, a look that she prefers. 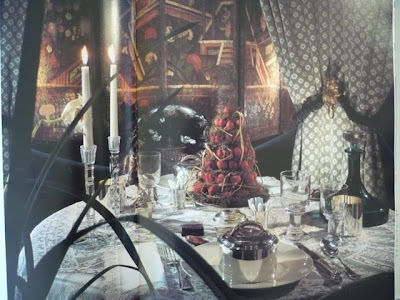 The hostess' own iron candelabras stood prominently amongst borrowed William Yeoward crystal hurricanes and flower goblets. 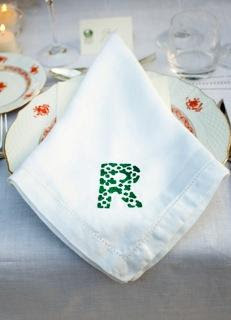 But truly, one of my favorite things about the table are Danielle's boxwood embroidered napkins with an "R". How gorgeous are they! No post about entertaining and hostessing would be complete without mentioning that one must go with the flow at his or her parties. Danielle was all dressed for the event in a gray sequin Oscar shift when one of her guests arrived in the very same dress. Without skipping a beat, the hostess turned around, scooted up the stairs, and changed into a green Oscar dress...and she still had a marvelous time at her own party. Image at top: The garden as it appeared before the guests arrived. Danielle's home is a Philip Shutze; if you think the exterior is pretty, then you need to see the interiors. You will want to move in ASAP! Danielle with her guest Oscar de la Renta. This shot was obviously taken after the dress change. The lovely table set with Herend china. 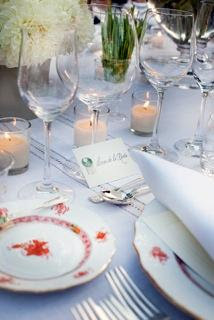 Note the pretty place cards. 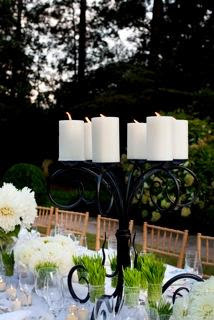 Danielle's iron candelabras set amongst the white dahlias and wheat grass. 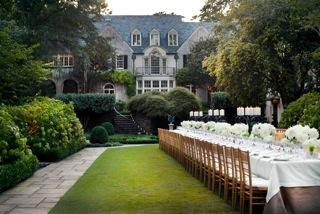 Danielle's boxwood linens that I highly covet. How pretty would they look with a "B" on them? Mixed flatware. 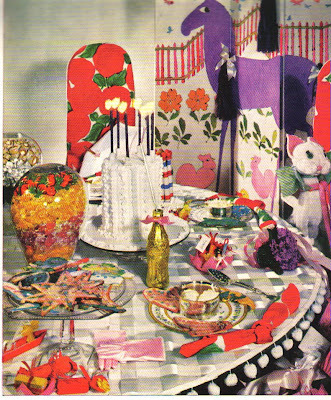 I believe I spy Tiffany Hampton (my pattern as well), Chrysanthemum, and Shell and Thread. As night fell. What an enchanted scene.